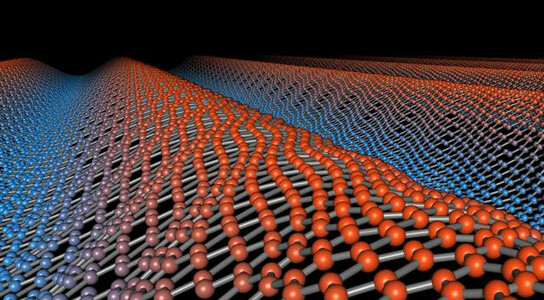 Scientists from École Polytechnique Fédérale de Lausanne shed new light on the fundamental mechanisms of heat dissipation in graphene and other two-dimensional materials. Generally, heat propagates in a material through the vibration of atoms. These vibrations are are called “phonons”, and as heat propagates though a three-dimensional material, these phonons keep colliding with each other, merging together, or splitting. All these processes can limit the conductivity of heat along the way. Only under extreme conditions, when temperature goes close to the absolute zero ( -200 0C or lower), it is possible to observe quasi-lossless heat transfer. Be the first to comment on "EPFL Sheds New Light on the Fundamental Mechanisms of Heat Dissipation in Graphene"